This Christmas, take a little time to think of others and teach children to reach out to those around them. 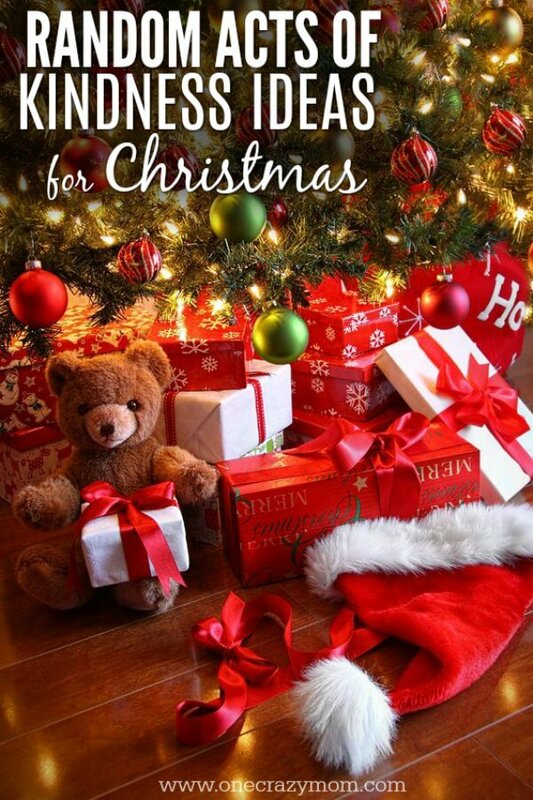 We have a list of 20 Random Acts of Kindness Ideas for Christmas. These ideas are simple but thoughtful and the entire family can get involved. We are really trying to encourage our kids to think outside of their little world. It’s hard sometimes for little minds to comprehend that the entire world doesn’t have all the luxuries that they do. We hope these random acts of kindness for kids will inspire your family to spread a little kindness. Engage the entire family in these random acts of kindness for kids. You will draw closer as a family while helping to provide a smile to others! The kids will remember for years doing these kindness ideas together as a family! 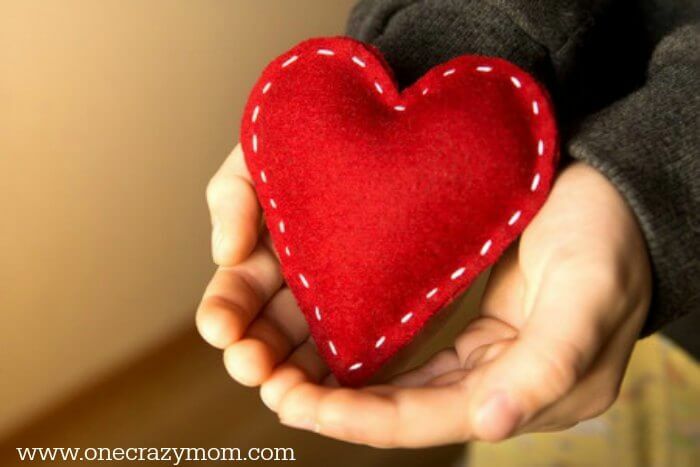 We have a list of 20 Acts of Kindness Ideas to help get you started. These ideas are sure to bless others and also leave a lasting impact on your children and entire family. Start a yearly tradition that the kids will look forward to year after year. Kindness makes a lasting impact and the best Christmas gifts can’t be bought! There are so many great ideas to show kindness each day this holiday season. Let’s get started with these random acts of Christmas kindness 2018 ideas! 1. Visit a nursing home and make Christmas cards to hand out. Let the kids make their own cards with construction paper and whatever they like! 2. Make a food donation to a local food bank. Take the kids to your local grocery store and let them pick out food to buy. Include the kids in dropping the food off at the food bank or salvation army. 3. Send Christmas cards to neighbors, shut ins or anyone that might need cheering up. Gather supplies and let the kids make cards for friends, neighbors or shut ins and then mail the cards. 4. Bake cookies for your neighbors. 5. Purchase gloves, hats and scarves to donate to a homeless shelter. Help kids understand that not everyone has warm things to wear in the winter. Purchase winter essentials and donate to a homeless shelter. 6. Leave change taped to a vending machine. Tape change to vending machines at the hospital or around town to surprise people with a free treat. 7. Take a basket of snacks and bottled water to leave at a hospital waiting room. Leave a basket of goodies or candy canes in the hospital waiting room to make someone’s day. You can purchase individual snacks inexpensively on Amazon. 8. Donate stuffed animals to the police department to hand out to children during crisis. Gather new stuffed animals that police offers can provide to children at a car accident or other tragedy. These stuffed animals will provide much comfort to children. 9. Pay for the car behind you in the fast food drive thru line. The next time you and the kids grab a meal at the drive thru, pay for the car behind you! This is always a fun one especially during the Christmas season and they will wonder who in the parking lot blessed them. 10. Give pet supplies to your local animal shelter. The animal shelter gets low on supplies too. Drop off pet food or other needed items. 11. Provide groceries for someone’s Christmas dinner. Drop off a ham or turkey and all the fixings for someone to cook for their Christmas dinner. Many of these items are on sale this time of year at the grocery store. 12. Take coloring books and crayons or small toys to a children’s hospital. Let the kids purchase coloring books, crayons or small toys from the dollar store to donate to a children’s hospital. You might also leave a few coloring books or free printable coloring sheets in the waiting room for siblings. 13. Invite someone over for dinner with your family that might be lonely. Perhaps you know someone that has lost their spouse or could use a friend. Invite them over for Christmas Eve dinner with your family. 14. Read a book to a younger sibling. Let a younger sibling choose a book and read it to them. This is so special and they will cherish the time spent together. 15. Send a thank you card to someone that has impacted your life. Surprise someone with a hand written note letting them know how they have touched your life. Maybe it’s a teacher, friend, coach, pastor or whomever you want to send the card to! 16. Make and take dinner to a family that might be going through a tough time. A meal can be such a blessing to a family that has been sick, had a new baby or perhaps has a family member in the hospital. Why not get the entire family involved in cooking a meal and delivering it to the family. These easy chili recipes are simple and tasty. 17. Play with someone at school that might be left out or feeling lonely. Encourage your child to notice if someone is playing alone or being excluded. Your child can ask them to play. Simply being kind can often brighten someone’s day! 18. Brighten someone’s day with flowers. Pick flower or grab a bouquet from the store and surprise someone with flowers. I bet it will make their day. 19. Help an elderly neighbor with yard work or things around the house. See if a neighbor needs help raking the yard, taking the trash out, sweeping the porch or any number of things that would be helpful. 20. Do a chore without asking just to help out. Encourage children to just be kind and helpful. Maybe that means doing the dishes without being asked or taking the trash out. Let’s get started on these acts of kindness holidays ideas! Not only will these brighten someone’s day but they will also provide lasting memories for your family. Grab this list and sit down with the kids to decide which ones to do. Encourage you kids to try this list of random acts of kindness at school. It is amazing what a little kindness can do. Make a plan and set aside a few hours or maybe even a day! This might even become a yearly tradition! How fun and special! 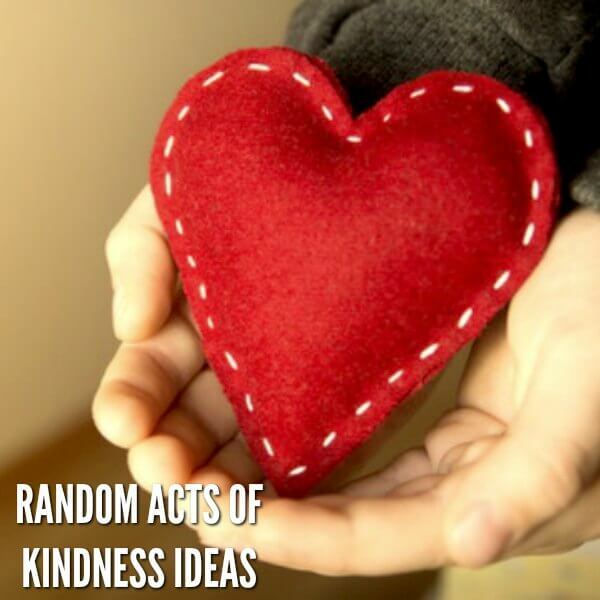 We love doing random acts of kindness ideas for strangers. You just never know what someone might be going through. No need to have extravagant Christmas kindness oprah ideas when just a small act can mean so much and make a real difference. Don’t underestimate the act of kindness. Please leave a comment with any ideas that you have or ideas that your family loves to do!